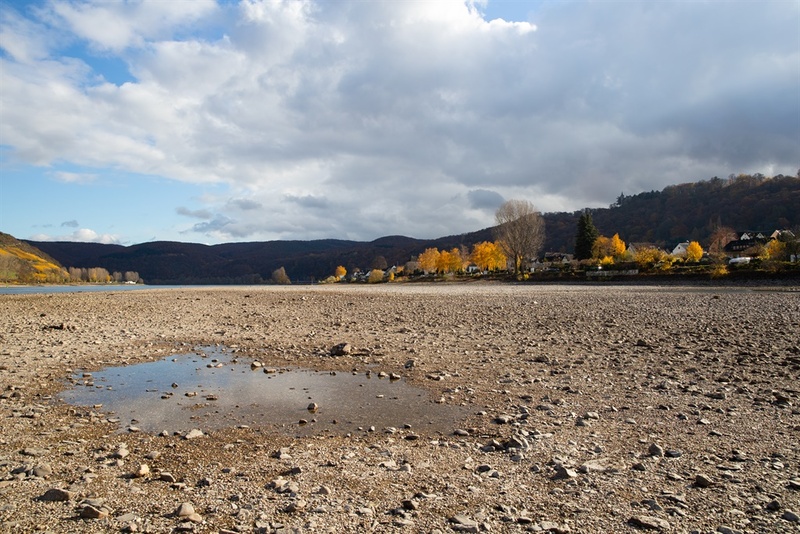 Europe's mightiest river is drying up, most likely causing a recession in Germany. Yes, really. Germany probably fell into recession at the end of 2018 as the country's dominant manufacturing sector faltered. That was most likely due at least in part to an unusual negative factor: a shockingly low water level in the Rhine river. The Rhine is crucial for German industry because it provides not only an avenue for the distribution of raw materials to German manufacturers but also a means of transporting finished goods to Europe's largest port, Rotterdam. Low water levels prevent certain boats from navigating the river, starving factories of materials and preventing the distribution of goods, according to the research house Pantheon Macroeconomics. An unusual factor may have contributed to the German economy's likely fall into a shallow recession at the tail end of 2018, a new report from the research house Pantheon Macroeconomics suggests. 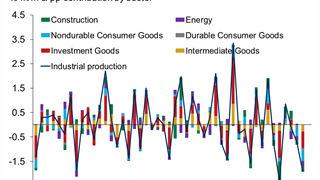 Writing on Tuesday, Pantheon's eurozone economics team reports that the slump in Germany's manufacturing sector in the final months of the year may have been exacerbated by the unusually low level of the Rhine river, which runs through Germany's industrial heartland. Manufacturing is the big driver of the German economy, so when it falters, so too does Germany as a whole. 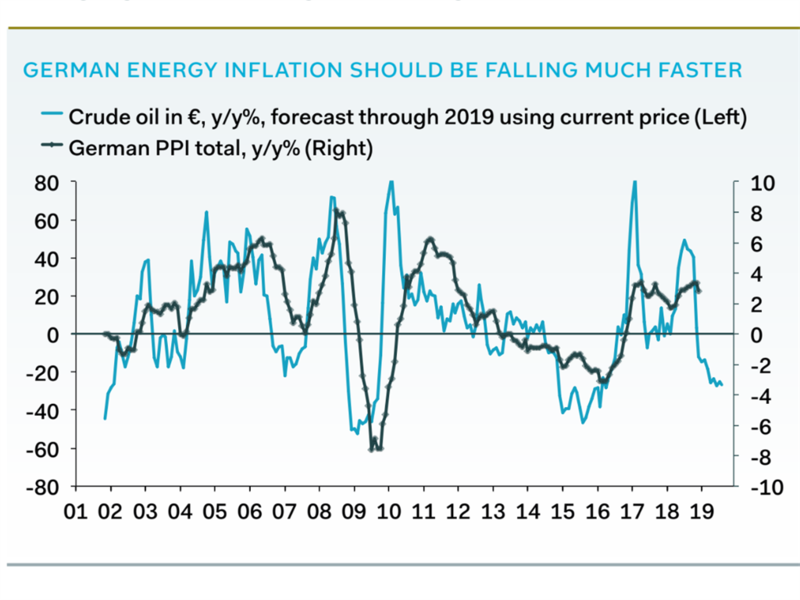 One main factor behind the slump in the German manufacturing sector was the failure of inflation, particularly producer price inflation - which tracks cost increases in certain areas of manufacturing - to drop in line with the tumbling price of oil in recent months. That's in part, Pantheon says, because of what's happening to the Rhine, which has seen its water levels drop after a drought during the summer and fall. The river is fed by glaciers and rain. But alpine ice flows have been plunging, Wilfried Hagg, a glacier expert at Munich University, has told Bloomberg. "The Alps are warming at an even faster rate as snow and ice melts," Hagg told Bloomberg on Friday. "A warming climate means that incidents like the low river levels this summer are more likely to occur." The Rhine is crucial for German industry because it provides not only an avenue for the distribution of raw materials to German manufacturers but also a means of transporting finished goods to Europe's largest port, Rotterdam, which sits at the river's mouth. 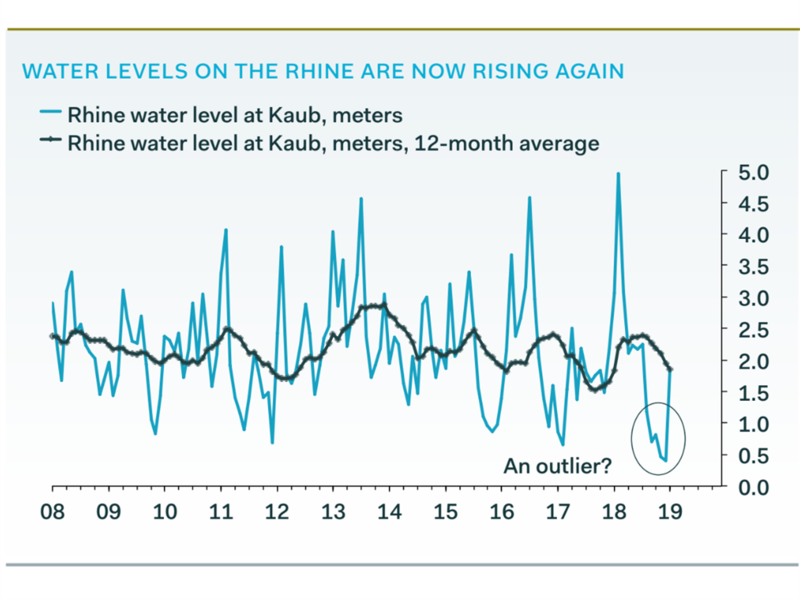 Low water levels in the Rhine, Pantheon says, effectively amount to a "supply shock in German manufacturing," by lowering the availability of key goods needed for the sector, which come to factories situated on the river by barge. These barges need a depth of water to traverse the river above current levels. "Inflation of fuel and energy sensitive goods will be pushed higher, regardless of fluctuations in oil prices, and output will be constrained by bottlenecks and increased delivery times," the note said. There is clear evidence of the negative supply side impact of the low water levels, Pantheon added. 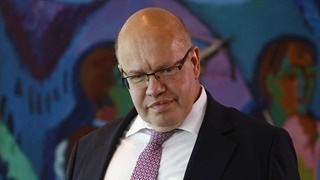 "Petrol stations ran low on fuel, coal energy plants had to reduce capacity thanks to extended delivery times, and some of Germany's largest manufacturers - ThyssenKrupp and BASF - suffered loss of revenue due to output delays and higher costs of transportation via alternative means." 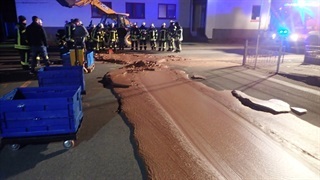 There is some good news, however: Recent rainfall means river levels are rising once again, most likely negating any further impact on the German manufacturing sector.